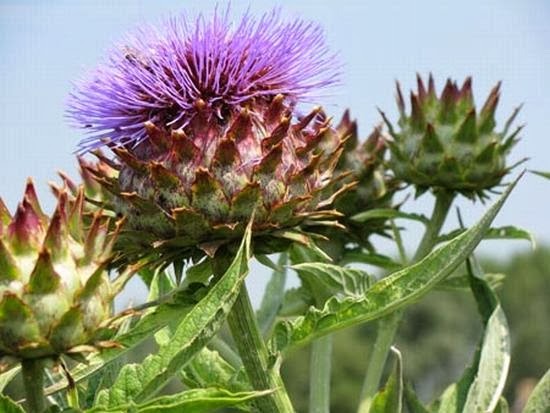 .The unavoidable fact and so called ‘worst kept secret’ is that artichokes plants are just so easy to grow from seed. While they will not all grow genetically ‘true’ to the parent plants, because they are so easy to germinate it is just a matter of growing a few extra plants so that any rogue specimens that turn up can be removed later on without the worry of losing some of your future crop. Artichokes can be started from seed in a greenhouse, conservatory or even in a warm, bright room by the windowsill. Starting anytime from around late February, plant a couple of seeds into 9cm pots using good quality soil-based composts such as John Innes ‘Seed’. You may wish to mix in a little horticultural grit or perlite to help with the drainage. Give the seeds a further, light covering of compost, then water in well - placing them in a greenhouse or warm room once the excess water has drained off. Water as necessary from that point on, but at no time should the compost be left sodden or be allowed to completely dry out. 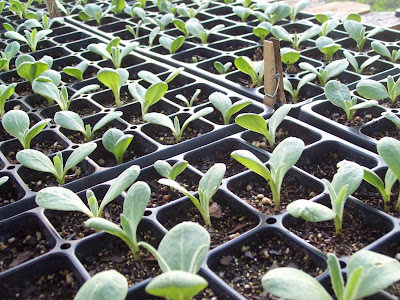 Artichoke seedlings need lots of nutrients as they develop, so feed them once a week with a good quality liquid plant fertiliser. They will be ready for planting outside once the soil has warmed up and as said before, once the danger of frost is over. Typically the transplants should be around 8 to 10 inches tall, with stocky stems and two sets of true leaves. Because they grow quite large, they should be planted at least 4 feet apart into a rich, deep, free-draining soil. For best results place them in a sheltered position where they can receive full sun for most of the day.